You guys HAVE to know by now how much I love these tempera paint sticks from The Pencil Grip, Inc.. I have talked about them so many times! This product has to be my most favorite, in terms of creativity. 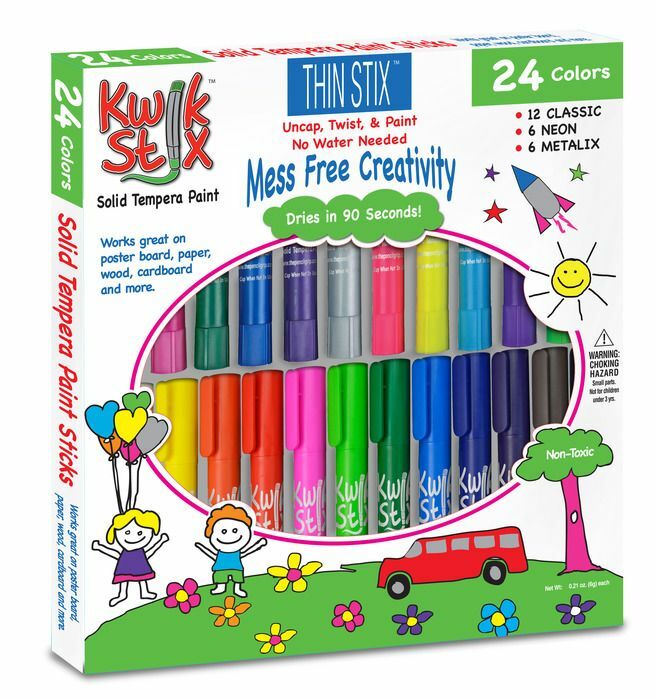 The Thin Stix Creativity Pack is a great collection of 24 colors! One row is full of the regular type colors that you would see in some of the other collections like I talk about here and here but with some added colors. The other row has some of their neon and metallic colors! I have wanted to try these since I first heard that they added them to their selections! Here are the regular colors that are included in this kit. I love the added colors that make it different from the 6pk! I really do wish that there was a red color, but really, these colors are great! Here are the metallic colors…aren’t they pretty? They make me so happy. The color comes out so lovely too! I will show a project that we used them on in a minute. 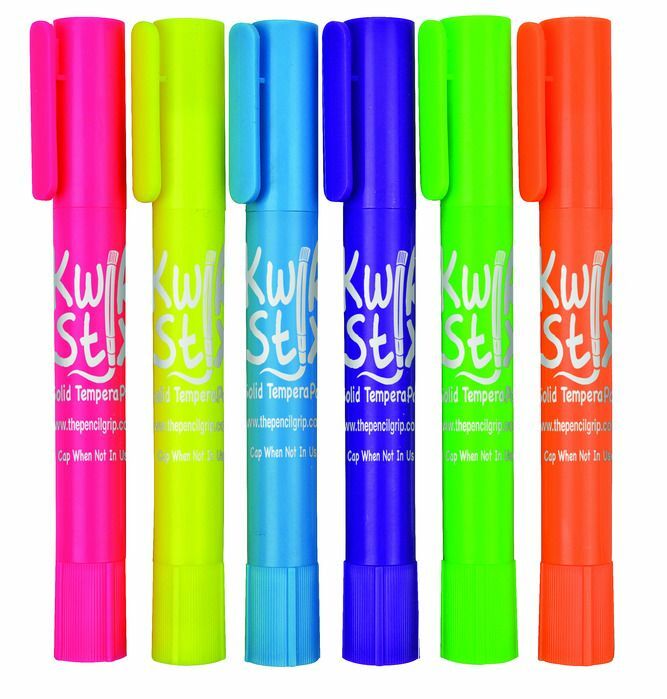 These are the neon colors. Fun, right? The pen colors look brighter on here than they do in real life, but they still paint wonderfully! 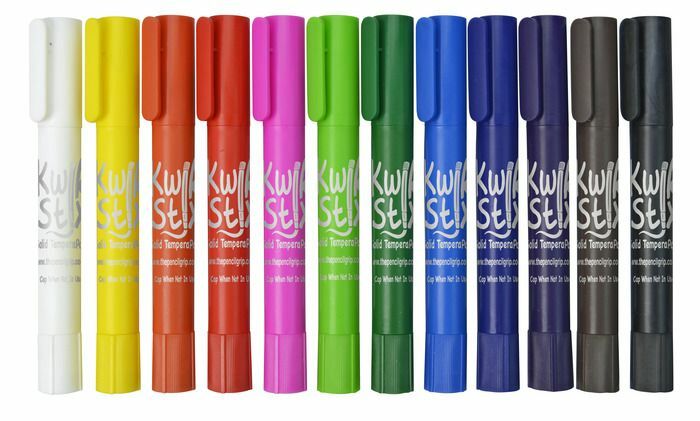 What I love about the Kwik Stix in general is that they can paint on so many different surfaces! I think wood looks fantastic because you can still see the grain coming through. 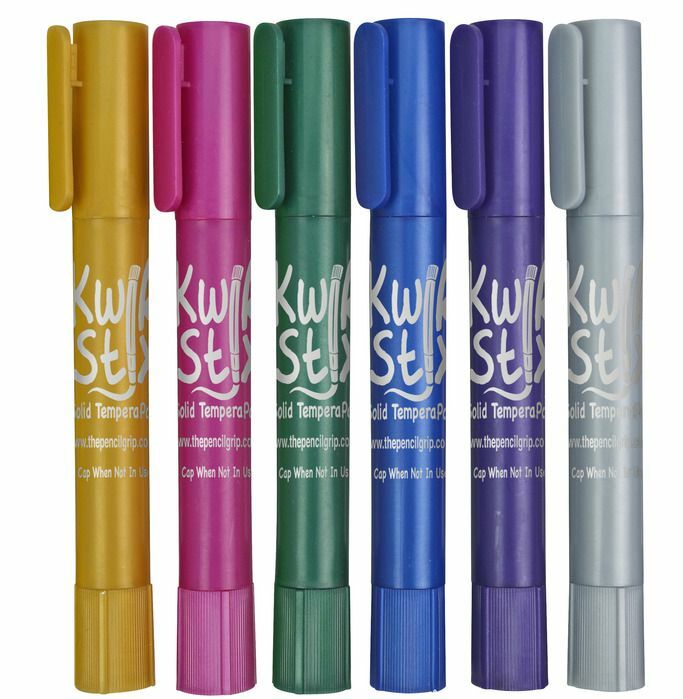 We have a great time using them most frequently on paper, especially the Thin Stix as they are thinner than the regular sized ones. Here are some projects we did.. This was fun…and really, the candy looked a lot better before the black outline was attempted. Forgot that the black had been used on something with a rougher surface and once we started outlining the candy we just didn’t feel like we could quit. Ah well, we will know more for next time! We had seen something similar to this online somewhere a while back and thought it would be fun to try with the selection of colors that we had. We would probably do it a little differently next time, but we thought it turned out cute! Out of all three of these projects, I think this one was the most interesting! We weren’t even sure it was going to work at first! We went out and got some of the leaves from outside and colored them with different paint colors. The metallic ones turned out so awesome, but it just doesn’t come through in my phone pic. Since the paint dries fairly quickly, I do think it would be better to stay with the smaller sized leaves if you were going to do this. Unless you are a fast painter, ha! I love how the detail came through so well on the various leaf shapes! Next time I would like to try even more colors! If you want to see what projects others came up with using this Thin Stix Creativity Pack then feel free to click the banner below!